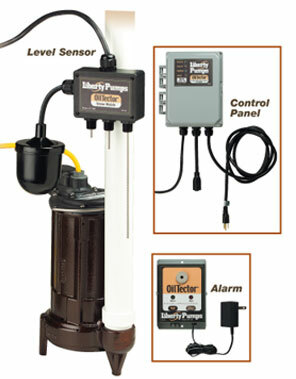 Pump Express has Liberty elevator sump pumps available for purchase. Liberty elevator sump pumps are a way for elevator sump pits to be monitored in terms of water and oil levels. If there is water in the elevator pits, the Liberty elevator sump pumps we provide can remove the water and ensure that oil and other harmful substances are not dispersed into the environment. Not only do elevator sump pumps monitor elevator pits, but they also will monitor transformer vaults and other locations where water or oil may potentially be detected. These pumps are a safety mechanism that will sound an alarm when there are high levels of water or oil present.